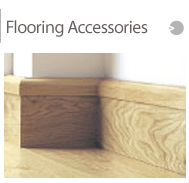 Fintrim is a leading producer of hardwood products, in particular Oak flooring, Wood Skirting, cladding systems, and all associated mouldings. Fintrim has been manufacturing solid hardwood profiles for many years and during this time have gained a substantial knowledge of the flooring and timber industry. Fintrim has a state of the art finishing line, which enables us to finish all products to the highest standard. We also have the facilities to manufacture any profiles to your specification while still maintaining this high standard. We also make internal and external Solid Oak Ledge & Brace Doors either complete or in a door kit. We can make these whatever size you require as these are hand-made on site and so we can accomodate any and all of your needs. We make the doors in a variety of finishes to tailor the door to your unique property. These are available in rebate sizes of 9mm, 14mm, 18mm and 22mm. Products can be produced in a range of timber species and a selection of stained colours are available. A stained to match service can also be provided upon request. Fintrim produces Solid Hardwood Flooring, which is available in a number of widths ranging from 120mm-200mm and can be supplied in either Oiled, Lacquered or Unfinished. The flooring is of the highest quality and the utmost care is taken to ensure all our customers receive great quality products. All our products are double coated and sanded twice to ensure an excellent finish which we are sure you will be happy with. 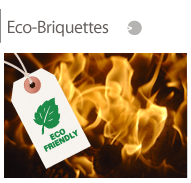 The briquettes have a calorific value of 5000 calories per kilo, which is on par with coal and considerably hotter than standard logs. They are compressed under extreme pressure so they become more dense, making them very stable and clean. A quantity of our briquettes are being utilised within our own factory and offices to provide an eco friendly heat source, the surplus are available for sale. We can ship our hardwood briquettes anywhere in the UK and supply them in 20kg bags . We have pallets of 25 and 40 bags for sale on the website. Additionally you can also purchase single bags if you only need a few, or want to try them out before ordering more! Beautiful solid English Oak Wood Flooring, requiring no on site sanding. Supplied in set widths depending on current timber supply or random if requested. This floor will be supplied in a Character grade and will come Unfinished, so an oil or a lacquer can be applied at a later date if required. We maybe able to supply you with a different board width, this all depends on what size timber we have in at the time of order. Character: Presence on each face of small knots without limitation, and of a maximum of three sound knots per metre, maximum diameter not to exceed one half of the width of the timber or 40mm or equivalent. 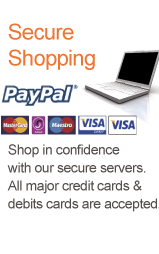 We also offer a wide range of samples to make sure you find the perfect product! 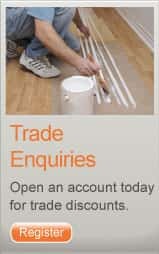 If you require a sample of our flooring before you order, these are available FREE! 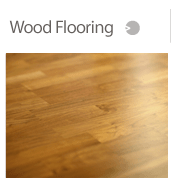 You can order these from the Hardwood Flooring section of our products page. If you require a larger number of samples, then please contact our sales team who will be happy to help you with our enquiry. Take a look at Fintrim's Flooring Samples. Fintrim also offers a mouldings swatch, this enables you to be sure of the product you require prior to ordering. It contains all of the moulding profiles we can supply in all of the species we can supply them in. A stained swatch is also available this shows all stained colours available. Take a look at Fintrim's Mouldings Samples. 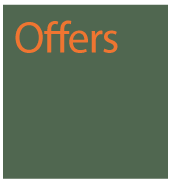 Follow Fintrim on Twitter, for all the latest offers, and why not add us as a friend on Facebook too! "This form collects information that we may use to send you updates about promotions, special offers, and news."